Online Education Database has this finder to locate free classes for credit. When else have you ever heard of free classes for credit? Online education has opened up countless numbers of doors for Americans everywhere, and offering free classes to students is only one of the many. Online education began with free courses through Ivy League schools like MIT and Harvard, although these classes were never offered for class credit. Since this point, however, many courses have begun to be offered free of charge, allowing students to earn minimal degrees without the added expense of tuition. It seems almost unbelievable, but many schools have been able to make this type of degree program work to their advantage – not losing money in the process. While most free courses continue to be offered not for credit, but simply for the curious student, there are others through certain online colleges that provide minimal certificates for students who are interested in a specific degree program. Many certificates of this nature are so basic that there is no need for the college to charge a rate for a semester “hour”, and it is helpful that most online colleges receive much of their funding from the federal government rather than on student tuition. Free online courses work in the same manner that regular online courses work, although students are researching past courses for the most part and listening to previous lectures. Free online classes are offered in a variety of subjects – the classes are typically comprised of past lectures, notes, and assignments. The courses that lead to certificates or small degrees typically have professors presiding over the classes, rather than allowing students to simply pick and choose the material. However, free courses still give students the opportunity to learn a great deal without the high cost of education and any additional time commitments – you can basically learn all you want as slow or fast as you want. Most free courses can help supplement your current knowledge about a specific topic, and can be vastly beneficial in the work world. After completing this type of online course, even if you do not receive credit, you can still put on your resume that you are trained in this subject. Free classes online provide the flexibility of expanding your knowledge in a cost efficient manner – something online education constantly strives for within its many degree programs. While free online classes remain limited to certain subjects (some extremely broad or specific), this is a rapidly expanding idea that has taken root in some founders of online schools around the world. Some schools now offer free online classes for degree programs, allowing students to enroll for free and only pay a minimal application fee. We probably won’t reach the point where education is free, especially considering the rising rates of college tuition, but it is nice to know that there is someplace online where we can always supplement our knowledge on history, science, math, or any subject! Clearly defined goals and fair, incremental rewards are two game design techniques that could motivate the ‘gamer generation’ in the workforce, according to a US academic. Lee Sheldon of the Indiana University believes managers may have to rethink how they engage the next generation entering the mainstream workforce. 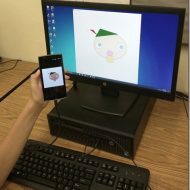 “As the gamer generation moves into the mainstream workforce, they are willing and eager to apply the culture and learning-techniques they bring with them from games,” said Sheldon, a gamer, game designer and assistant professor at the university’s department of telecommunications. “It will be up to management, often of pre-gamer generations, to figure out how to educate themselves to the gamer culture, and how to speak to it most effectively,” he told iTnews. Last year, Sheldon replaced the traditional grading system in two of his game design classes with a system that is based on experience points (XP), which were typically used to track progress in role-playing games. Students commenced the program as avatars at level one, which corresponded to zero XP and a grade of ‘F’. They gained XP by completing ‘quests’, ‘fighting monsters’ and ‘crafting’– in other words, giving presentations, sitting quizzes and exams, and handing in projects. Like in the popular online game World of Warcraft, the students were grouped into ‘guilds’ and had to complete quests solo, as guilds, or as ‘pick up groups’ with members of other guilds. So far, students have responded to the classes with “far greater enthusiasm” than before, Sheldon reported. “The elements of the class are couched in terms they understand, terms that are associated with fun rather than education,” he told iTnews. Sheldon’s class structure has attracted the interest of educators from other institutions. At Indiana University however, he said colleagues had questioned the efficacy of applying the techniques to “regular”– non-game-related — classes. SAULT STE. MARIE, Mich. — Word “czars” at Lake Superior State University “unfriended” 15 words and phrases and declared them “shovel-ready” for inclusion on the university’s 35th annual List of Words Banished from the Queen’s English for Mis-use, Over-use and General Uselessness. During difficult economic times, the cost of higher education leaves many students wondering if they can afford to go to college. Here are eight schools that offer tuition-free educations.